K-Pak Deep Penetrating Reconstructor Treatment is a highly intensive treatment which rebuilds the structure and condition of all hair types. This powerful five-minute treatment is ideal for stressed, damaged and chemically treated hair and works effectively to replenish lost or depleted Amino Acids. A high concentration of Joico’s Quadramine® Complex delivers maximum reconstruction and protection from the hair cuticle to the cortex. Recently reformulated to include Joico’s revolutionary Bio-Advanced Peptide Complex™, K-Pak Deep Penetrating Reconstructor Treatment replicates the DNA of healthy hair to repair damaged hair and prevent further hair damage. This technologically advanced complex offers a dramatic improvement in the hairs strength, health and natural shine. K-Pak Deep Penetrating Reconstructor Treatment restores strength and vitality to weak and damaged hair and helps prevent colour loss and fading. The hair becomes more responsive to styling and is left looking and feeling soft, shiny and strengthened. 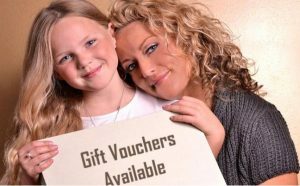 availability for any of the above treatments! 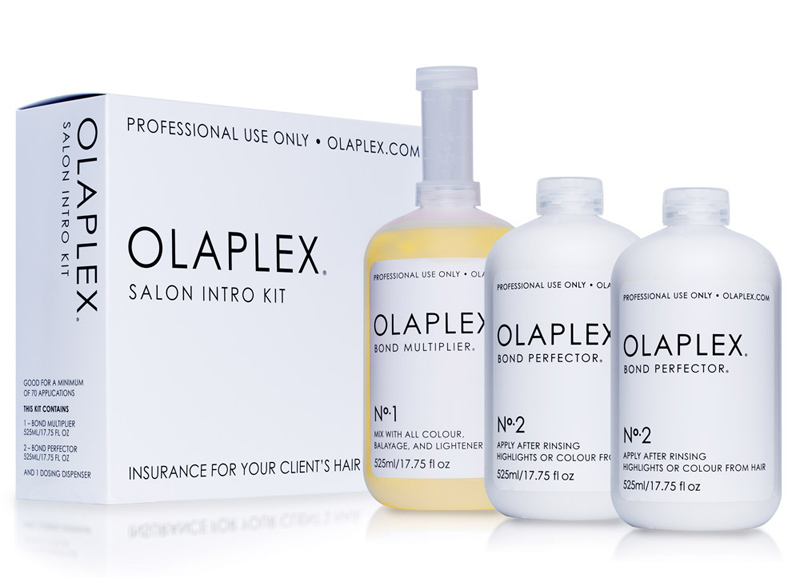 Olaplex isn’t just another hair conditioning treatment. In fact, it doesn’t use the word *conditioning* – often just a buzzword for one-off high-shine and smoothness – anywhere in it’s advertising. What it is, instead, is a system that permanently rebuilds the damaged disulphide bonds in your hair that are broken during a chemical process. If you’ve over-bleached, coloured, permed or straightened over the years, Olaplex allows you to rebuild the strength, structure and integrity of your hair; a ‘reset’ for your locks, if you will. Your hair is left stronger and not fragile. We recommend La Brasiliana Smoothing Treatment for smooth, manageable, non frizzy hair, that stays that way. La Brasiliana Zero Keratin treatment with collagen is a revolutionary process that transforms the hair. Keratin is the primary protein of the hair, skin, and nails. This natural substance gives hair the ability to return to its original healthy, shiny, smooth state while collagen improves the elasticity of the hair. La Brasiliana Zero Keratin treatment replenishes the condition of the hair without damage or change to the molecular structure. 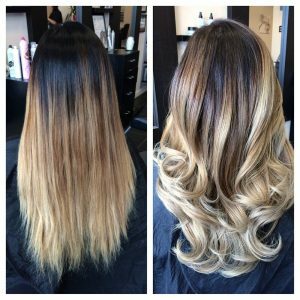 The treatment can be used on all hair types such as chemically treated hair, coloured, permed, relaxed, straightened, highlighted, and bleached. After application of the product, it is infused with a flat iron, which seals in moisture, hydrates the hair, and creates a glossy finish. Results are visible immediately after treatment is completed. You will be amazed to say the least. Hair looks shiny and beautiful. Formaldehyde and Sodium Free. Ask your stylist today if there is availability for any of the above treatments!